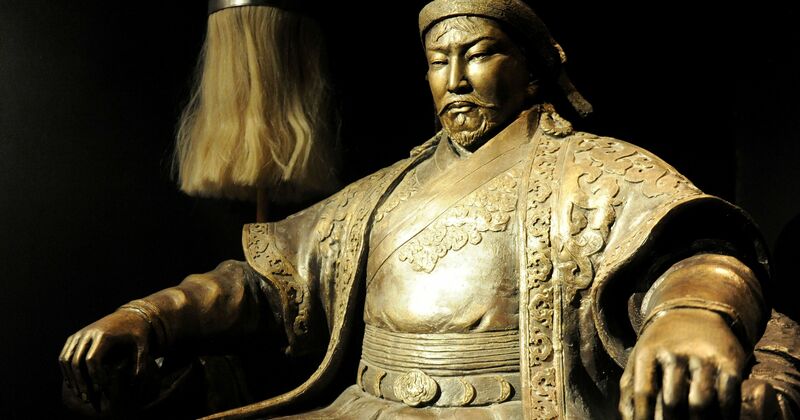 The facts about Genghis Khan and his campaigns are well-attested, yet still astonishing, cementing him as undoubtedly one of the greatest military leaders to ever live, if not the greatest. The facts about his cruelty and brutality are equally well-known. This is a story about both. For a man born into a nomadic culture, much is known about Genghis Khan and his early life, but it is his campaign into Khwarezmia from 1219 to 1221 which is the subject of our interests here. During this campaign, history saw Genghis Khan at his best and worst. It saw inspired leadership, daring courage, innovative thinking, and brutality the likes of which the world would never see again until World War II. The war between the Mongols and Khwarezmia began when one of the latter’s provincial governors, Inalchik, executed a Mongol trading caravan, suspecting them of being spies. Genghis Khan sent an emissary to the Khwarezmian Shah, Muhammad II, to smooth out the misunderstanding. Unfortunately, the emissary was executed, and his two bodyguards had their heads, beards, and mustaches shaved, which was an appalling insult in Mongol culture. The next message from Genghis Khan to Muhammad was brief. You have chosen war. What will happen will happen, and what is to be we know not; only God knows. He was being modest. He had a damn good idea about what was to happen. The Khwarezmian Empire. The Mongols would subdue it in two years, with most of the action in its eastern portion, Transoxiana. The facts of the campaign are as follows. Muhammad believed his frontiers were mostly unassailable. He had the protection of mountains to the east and even better, the Kizylkum Desert to the north. The only route available for the Mongols to assault his territory was through the Dzungarian Gate to the northeast and he had the fortress of Otrar – Inalchik’s city – to guard such a route. Genghis Khan saw no such impediments. He would instead use these seemingly strong defenses as opportunities to surprise his enemy, and he had one specific surprise in mind – the desert. Muhammad thought the desert impassable. Genghis Khan thought differently and he saw that this belief of his enemy could be used to put the final nail in his coffin. Genghis Khan began the campaign by sending his son Joche and his general Jebe through the eastern mountains. This was the first unexpected move that the Mongols made. Muhammad sent his own son to attack this force, which would withdraw and then move back into the passes again over the next few months. This captured Muhammad’s attention, and he sent more troops to the area. This was when the Mongols made the attack that their Khwarezmian foes expected, but were now unprepared for – through the Dzungarian Gate against Otrar, which fell after a long siege. Meanwhile, Jochi and Jebe renewed their own attacks and split up, putting pressure along multiple fronts. It was at this point that Muhammad II sent most of his armies north of his capital, Samarkand, int a defensive cordon behind the long river that separated its hinterland from Otrar. Despite the setbacks, Muhammad was confident about the dispositions of the Mongols. His army still outnumbered his enemies, and he believed that he could destroy them. But the facts facing Muhammad would soon turn from bad to worse, as he had no inkling of what was coming next. As major action took place along the Syr Darya River, the Mongols were still moving – this time in the north. Suddenly, as if from out of nowhere, Genghis Khan showed up on the doorstep of a major Khwarezmian city, Bukara, situated west of the capital of Samarkand, and 600 kilometers behind the Khwarezmian lines. Muhammad was floored at these startling facts. How had this happened? It happened because the Kizylkum Desert wasn’t so “impassable” after all. Genghis Khan had simply used guides who had traversed it for years to lead him to oases so that he could requisition water. He used these old paths as a desert highway to bring him right to the critical point of the campaign with superior force, while his enemy’s force was concentrated in diversionary theaters. Bukara fell in days. The campaign through the desert to Bukara is considered one of the greatest operational maneuvers in the history of warfare. By closely examining the facts of the matter – that the desert was actually passable – Genghis Khan used his opponent’s own confirmation bias against him, stunning him in the theater where it mattered most. Muhammad fled to his troops and Samarkand fell in about a week. The Khwarezmian lines completely collapsed at this point, and it was a simple matter of the Mongols mopping up resistance. Muhammad would flee west and die on a deserted island in the Caspian Sea of hunger. Genghis Khan had brought one of the wealthiest regions in the world to its knees at a rapid pace by looking for solutions in places where his enemies thought no solution could be found. By refusing to be trapped in the boxes of convention, he executed one of the most brilliant campaigns in history. His enemies, meanwhile, were ineffective, partially because they were trapped by conventions that he recognized weren’t relevant. By the time they realized their errors, it was too late. The Mongols were everywhere. The Mongols’ Khwarezmian operations was masterful, but before we get too starry-eyed at the achievement, let’s remember the facts that up to two million people were slaughtered in this campaign. Great cities were destroyed to the last building, centuries of wisdom was lost, and the desolation spread in one of the wealthiest regions in the world has lasted in many respects to this day. Ghost towns litter Central Asia. Some cities, like Samarkand, recovered, but never regained their former glory. Savagery in taking enemy cities was normal by the standards of the time, but the Mongols brought it to an apogee. The facts of the Khwarezmian campaign sealed Genghis Khan as perhaps history’s greatest and bloodiest leader. This post was a preview of a project to be announced later this year, but in the meantime, read Stumped.